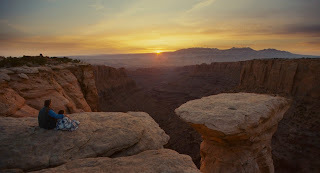 Essential plot rundown: Aron, an experienced outdoorsman, gets trapped inside a canyon. So, this is the second time I have seen this. And I had read the book in between the viewings. So, I'll try to incorporate my initial reactions with those I had during my second viewing. This is a good film. I think James Franco did an excellent job in this role. Franco essentially has to carry the weight of the whole film himself and he succeeds. He gives a strong performance. And he kind of looks like Ralston too, so that's kind of cool. The first time I saw the film, I really liked the score. I thought A.R. Rahman wrote some interesting pieces. However, when I watched it for the second time, the songs felt redundant. Now, I'm no musician, but it sounded like it was essentially the same song used throughout the whole film with some variation. So, it got a little repetitive after a while. In my Hulk review, I commented about how I like it when directors do something stylistic with their films. Danny Boyle does that here as well. However, I found it kind of distracting. I couldn't tell if I liked it or not. I liked the stylization but felt it didn't really match the film. After viewing it again, I was kind of bored at first. It wasn't until about halfway through the movie that I started to get interested. 127 Hours is a good movie, but I'm not sure how much re-watch value it has. I also thought it was interesting the changes they made from the book. The book (as most books do) focuses on Ralston's thoughts. But, that can't be conveyed on screen; so they had to do something different. I was actually surprised at what they changed and the amount of changes made. So, overall, this is a really good film. I would recommend it. Though, I don't think it will have a lot of re-watch value. 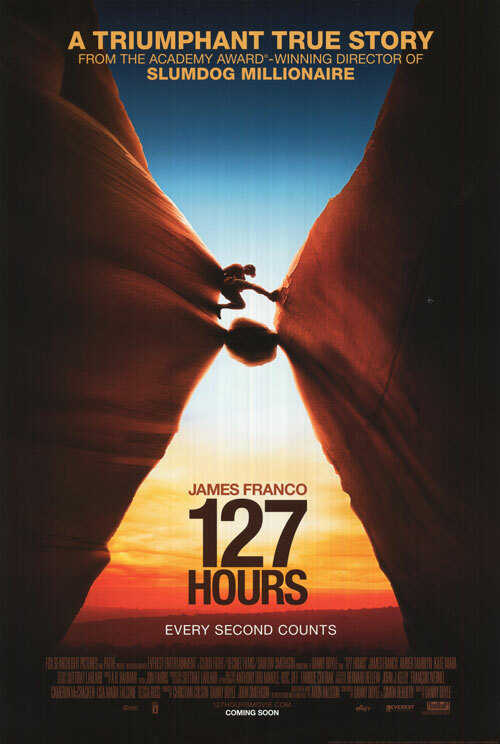 When we are at a point in our lives where we can’t see through the fog; a movie like 127 Hours is a lifesaver. James Franco is one of those actors that can meld into a character, he’s a brilliant actor. I was inspired when nothing else was reaching that inner part of ourselves we all have. I have much admiration for Aron Ralston, and although I didn’t have to cut through my flesh, I did have to win a different type of battle. I’m now working for Dish traveling frequently training others which feels really good. Since my Mom knows that I love movies and certain films inspire me, she suggested I start film blog so I subscribed to Blockbuster @Home so I could research movies while traveling. Not only do I find watching the movie on my laptop relaxing, but getting to write about how I am inspired is awesome. Thank you Aron for sharing your story!